This is a Mass Effect Andromeda tech skills page. Here you’ll find information about the dangerous tech powers used in Mass Effect Andromeda. For more Mass Effect Andromeda content, head over to our Andromeda top page. 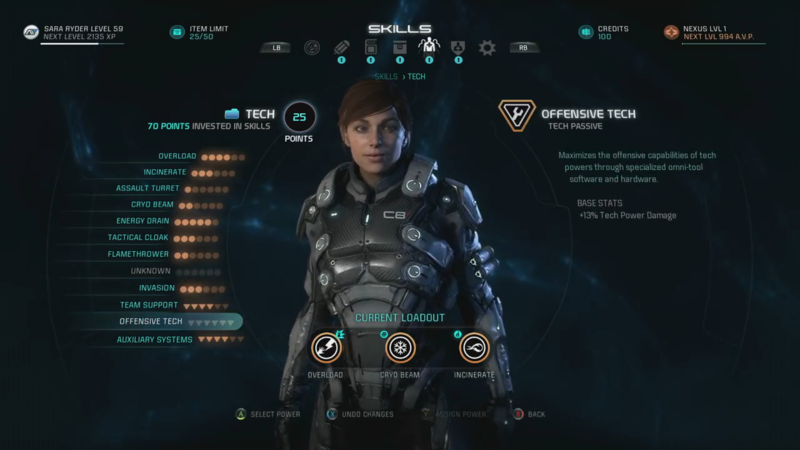 Andromeda splits the skills into three classes: combat, biotic powers, and tech. These three all offer something to battlefield superiority in combat.. These are the skills focused on using cutting-edge Milky Way technology to plow through the battlefield. Harness the power of electricity to devastate synthetic foes, or ignite the very air your enemy breathes with incinerate. The power is in your hands.